I picked up a slice of yummy pepperoni pizza, cheese trailing after it. It looked and smelled delicious. In less than 4 seconds my slice was gone. Dad was looking at me, astonished. “Nobody is going to steal your slice.” I gave him a suspicious look. If Dad requested for a small bite of anything I was having, from guavas to ice creams, pretty much half of it would be gone. Go figure. 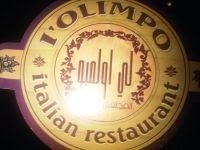 We were at l’OLIMPO, an Italian restaurant. For me, dessert is more important when we go to restaurants like these, and I would always go to dessert section first, whether we bought any or not. For Mom, the place looked like a ‘wonderland’, for me it looked a little like ‘Steak House’, only little more stylish. I like Steak House, but now whenever I think of it I always remember the ‘great zucchini’ incident. We had chicken Caesar salad first. Dad love salad a lot, which is why I called him a ‘herbivore’. I poked my fork and attacked the lettuce since I found it difficult to stab it. Then we had spaghetti Bolognese, Pollo Verdure and pepperoni pizza. After we each had two slices of pizza there was still one slice left. But we did not want it, so I and Dad plucked out the pepperonis leaving only the cheese. Our waiter tried not to laugh as our last slice which looked untouched, was missing pepperonis. Today was a great day and we enjoyed the food. You write well but I think you should focus on your grammar. For example, the desert you mentioned here should have been spelt as "dessert". 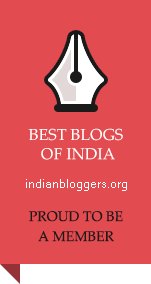 Thank you so much for reading my blog and giving me your valuable feedback.